Sabudana also known as Sago pearls is basically a starch that is extracted from palm stems. Typically Sabudana contains 94% of carbohydrates with very less amount of protein. 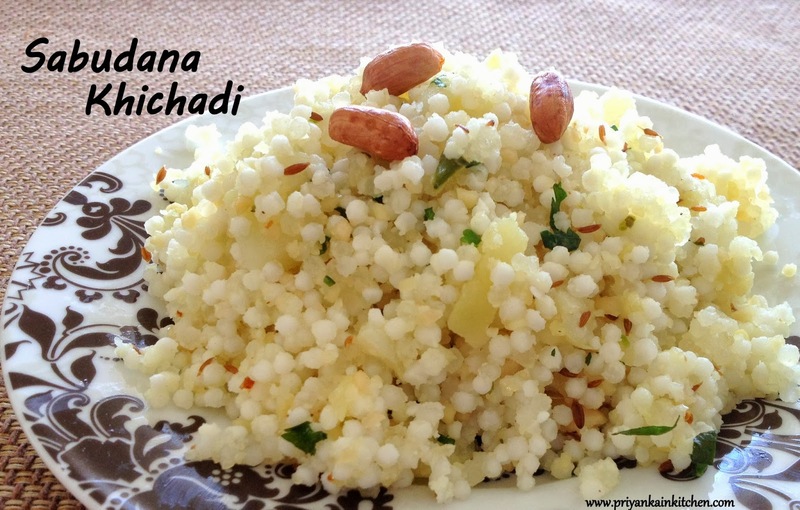 Sabudana khichadi is a dish that is popular basically in the western parts of India. But as this recipe doesn't need much oil, it provides a very good meal option during fasting too. 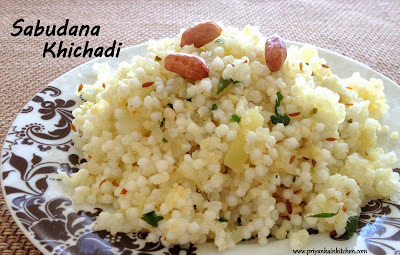 Sabudana khichadi can be served on its own like a breakfast dish or with curd as a full meal. Heat oil in a karahi/ wok. When hot add cumin seeds. let them crackle. Add green chilies and potato. Stir well. Add little salt just enough for potatoes. Reduce heat, cover and let it cook until potato gets soft. Add sabudana and crushed peanuts. Mix well. Adding peanuts with sabudana doesn't let it stick. Sprinkle salt, pepper, lemon and coriander. Mix well and let it cook uncovered for 1-2 minutes stirring occasionally. The most important step in this recipe is soaking sabudana. Always take broad vessel to soak it. A broad bowl or even a thali. For 1 cup of sabudana, wash sabudana in cold water and drain the water. It will absorb some water while washing. Then add just 2 tbsp of water and cover it. After 3-4 hours use a fork to separate the sabudana pearls.